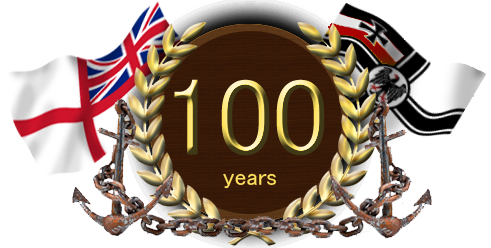 The very first action of the great war occurred on seas: The Staff of the Hochseeflotte had developed a comprehensive plan for years to come in the event of a war with Britain. It was firstly to undermine British ports and disrupt coastal shipping and traffic areas before any action being taken the Royal Navy, and secondly to make bombing raids of British coastal towns to attack population’s morale. As part of the first action, the German naval command mobilized on August 04 in the morning, former ferry Königin Luise, requisitioned and converted for the Hochseeflotte as “hilfsminenkreuzer” (auxiliary cruiser minelayer). In this context the ship was quickly fitted out with mine rails, while two 37 mm guns taken from old stocks were installed at the stern. 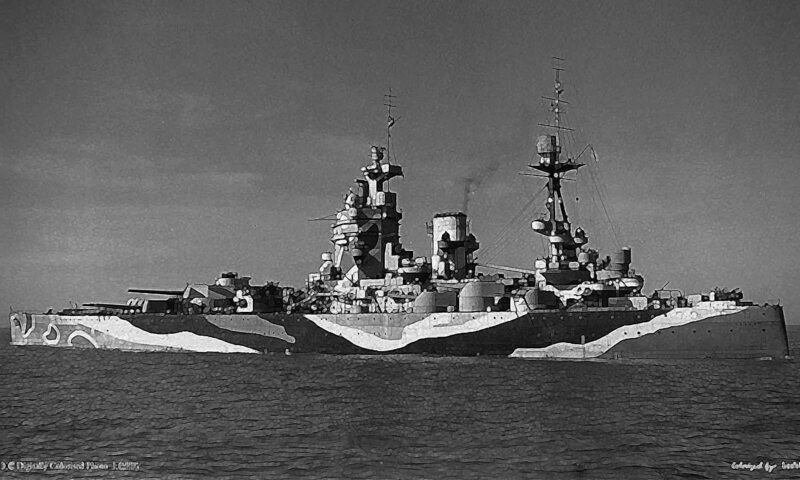 The night of 3-4 August, she was also provided with facilities to install two 88 mm, but the rush prevented this and she was to be to painted in a new livery and load 200 mines fastened to buoy ropes on board instead. 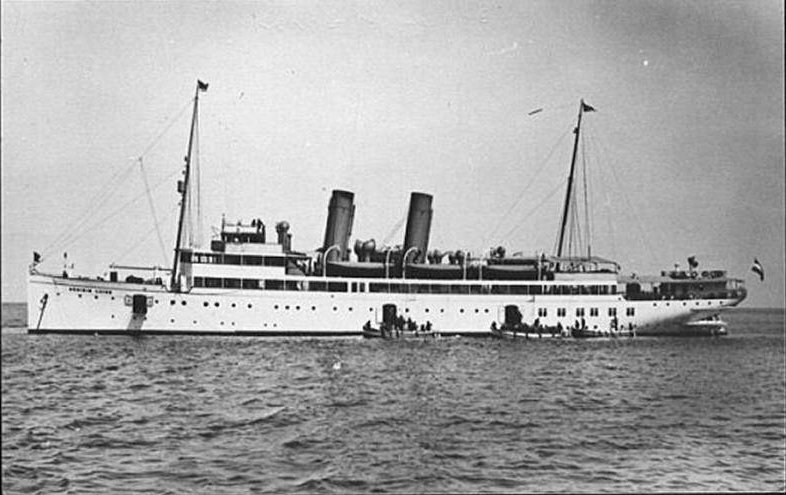 Centerpiece of this event, SMS Königin Luise, auxiliary cruiser/minelayer in august 1914. August 5, in the morning, the ship left Cuxhaven unescorted and headed towards the Thames with a mission to establish there a minefield. The Thames was a deep and well dredged river and probably the most vital artery for the British trade towards the interior of Sussex and London in particular. The traffic there was so much that Königin Luise traveling at 16 knots was not even spotted when crossing an upcoming squadron of destroyers, thanks to her new, hastily painted livery that betrayed her identity, and went on her way unmolested to its objective. The other SS Königin Luise was a recent steam ferry operated by the Hamburg America Line, laid down in AG Vulcan Stettin in 1913. The squadron of the Thames, composed of Amphion, and two flotillas of destroyers (height in all) is eventually informed, and headed full speed ahead to the mouth of the Thames. The German ship was currently completing its mission and was preparing to return to Cuxhaven. At 11:40 p.m., HMS Amphion made eye contact with the ship, which then immediately leaved, and a hot pursuit ensured. Faster, destroyers Lance and Landrail running at 29 knots were the first to catch the German ship (only capable of 21 knots). These made a few warning shots with their 102mm forward of the ship to order her stopping. Then both destroyers went parallel to KL, still firing warning shots at a distance, while HMS Amphion, slower, fired to the rear. The German ship could only answer with its 37 mm and had to prepare for torpedoes at close range. The duel was uneven and eventually SMS KL took many hits 102 mm from the destroyers cross-sides. Pounded at the rear in addition, the KL receives the final blows of Amphion, as dark fell at 0:00 at 51 ° 52 ‘north and 02 ° 30’ east. Survivors were rescued until dawn, and then the squadron set sail to its base. The Amphion will – ironically – be responsible for rescuing other sailors victims from the minefield laid by Königin Luise, and was struck at 18:00 by several of them, sinking in no time with great loss of life. So it was the most prized victim of the German ship. The destroyers, who strived to recover survivors were running slowly, watching cresting waves that indicate position of the mines, helping to spot and sweep these the day after, while many transport passing by were duly notified. Such event served as a lesson also to the Royal Navy, that, duly warned, from then on multiplied patrols, and was more suspicious about possible misidentified civilian ships.